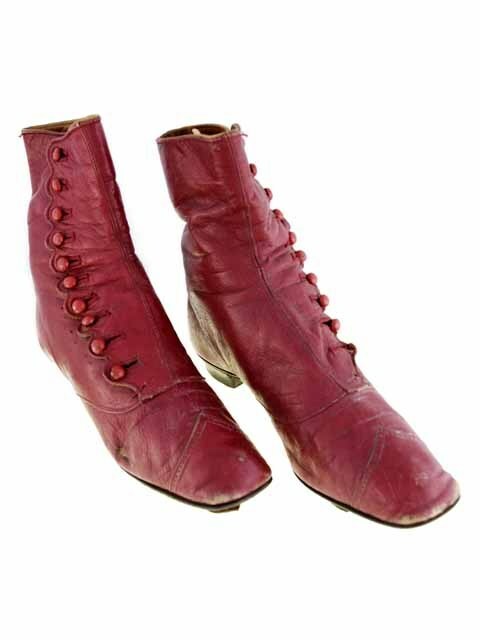 Victorian High Button Boots, Rare Red Color, 1860s. 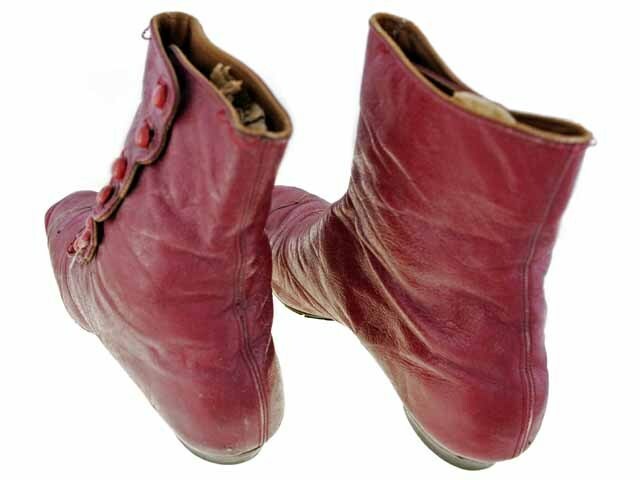 Here is a real find in very rare red leather, a pair of high button boots from the late Civil War era, the 1860's. The square toes help date them. 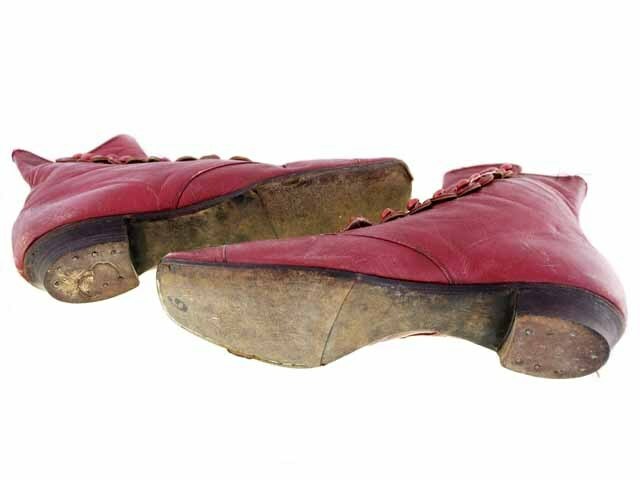 They have red glass buttons on each side, and leather soles and heels. Measured length outside, heel to toe: 9 1/2”; Inside 8", making this about a size 5. 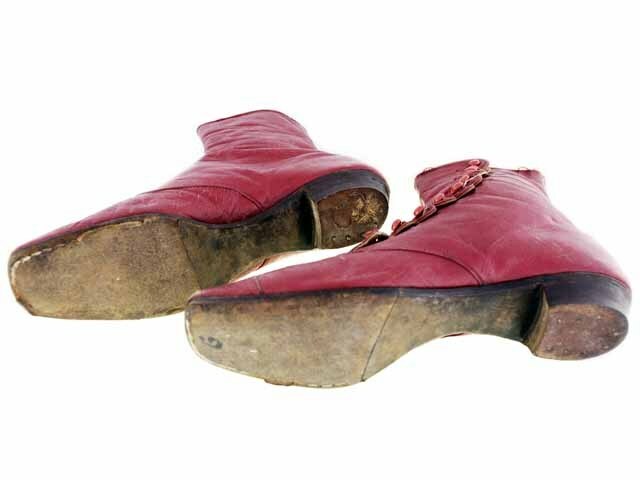 CONDITION: leather is very good, supple; soles are worn but not through. Really good for the age! 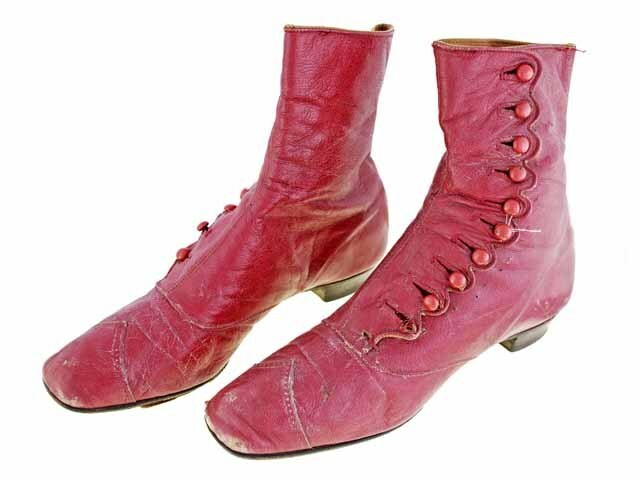 I'm not quite as good with shoes as I am with dresses - my guess is these are a bit later than the seller believes, however.